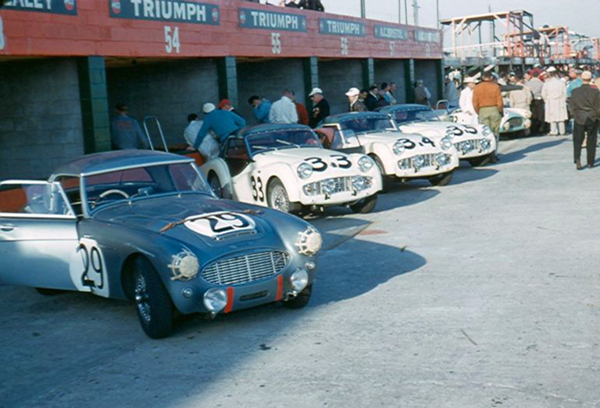 In March 1958 the Healeys returned to Sebring, this time with regular bodied 100-Sixs painted Healey Blue and piloted by an all-American drivers line-up. The cars were entered in the GTclass and failed the intial scrutinering when they showed up with cut down perspex windscreens. The excellant Austin Healey distribution network saved the day and came up with replacement standard screens and hardtops well in time for practice. After the practice the drivers reported they thought the cars did not turn in as well as they liked so the team stiffened the springs by jamming pieces of water hose between the top two coils. 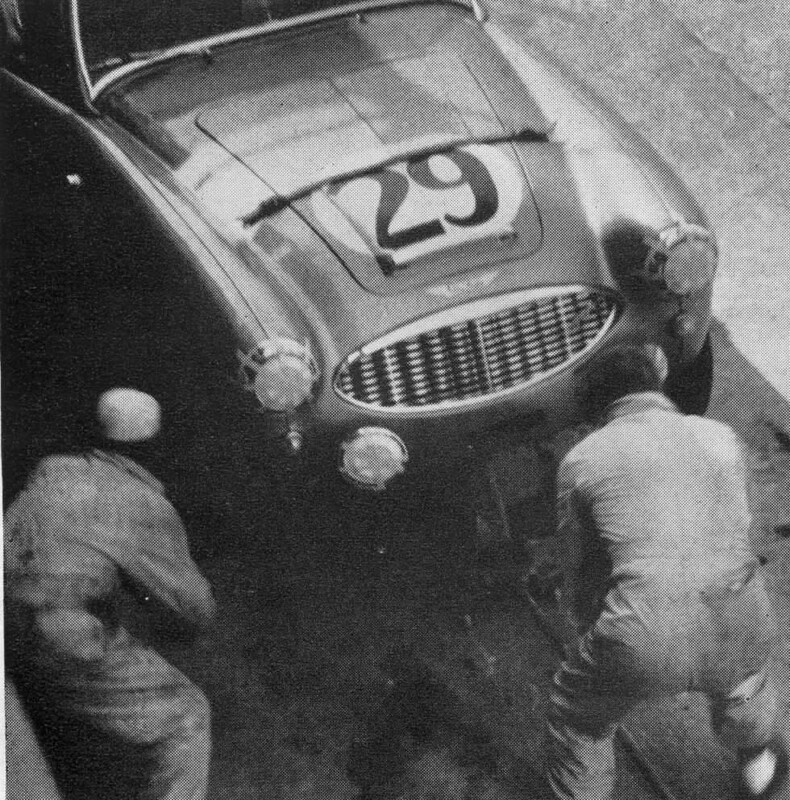 The cars were fitted with Le Mans style leather straps to hold down the bonnets as well as disc brakes all round. Reference is made to other modifications but that these were restricted to those items available to customers as dealer options; however the cars have vents under the grill to accommodate an oil cooler, which wasn`t a dealer option. They were most likely running with the option of the 3/4 race cam. 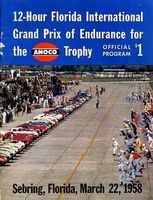 Bill Kincheloe went on to purchase one of the cars and he campaigned it in SCCA events. A superb picture of him in action at Laguna Seca can be seen at Race Pics.